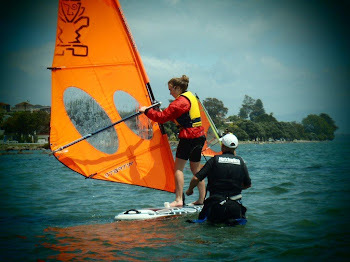 BOPwindsurfers: SUP Sailing, for when the wind blows the surf flat. SUP Sailing, for when the wind blows the surf flat. After spending a few sub-planing sailing sessions on the SUPs, the question about planing performance has been 'burning' away. Question no more, the 180L Tabou goes GOOD! If you already windsurf and are looking to get into Stand Up Paddleboarding this summer, Tabou and Exocet SUP's have mast base inserts integrated for sailing. Tabou 10'2" + fully powered up Vandal Stitch 7.0.